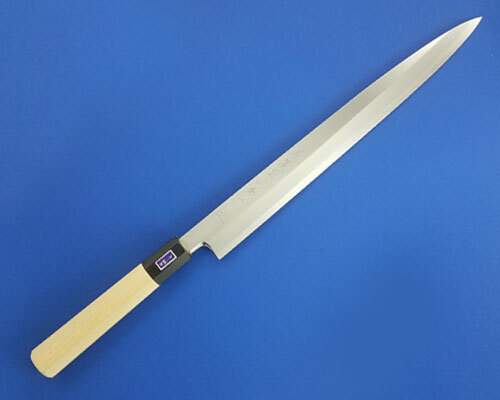 Matsu(translated:Pine)series knives are made of Hongasumi Aogami blue carbon steel. 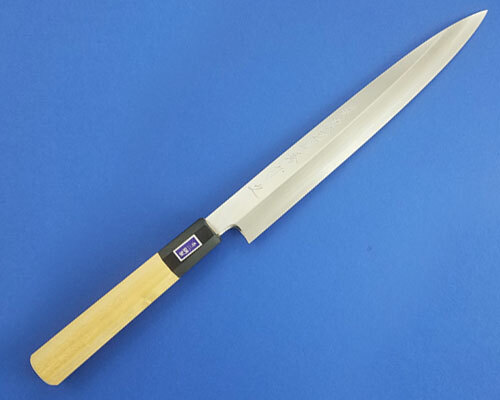 The ferrules are buffalo horn with an octagonal magnolia wood handle. 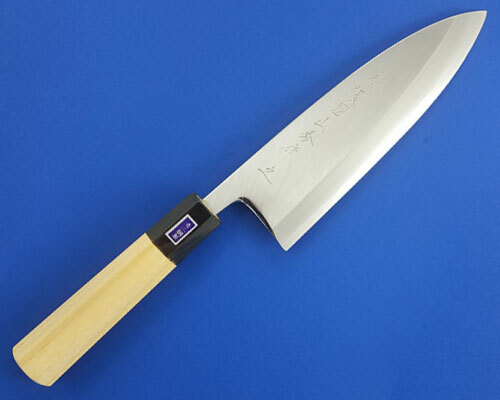 The beautiful grind work is indicative of the skill and pride of craftsmanship displayed by this father/son team as part of the Minonokuni project. 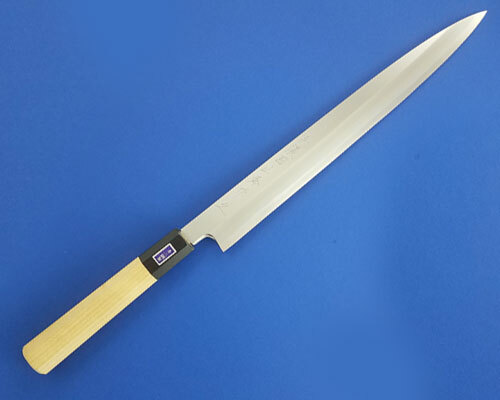 The Deba (fat knife) is primarily used for breaking down whole fish and poultry. 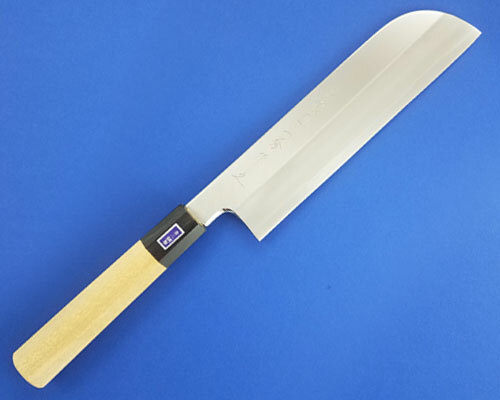 They are thick, heavy and very efficiently cleave fillets from the bone. 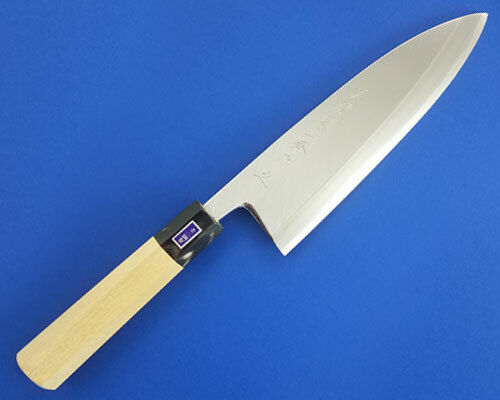 The choice between 165 and 180mm sizes really comes down to comfort in controlling the knife and size of fish to be cut.